Marks & Spencer has added some exciting and innovative new vegan lunch options to its Plant Kitchen range. 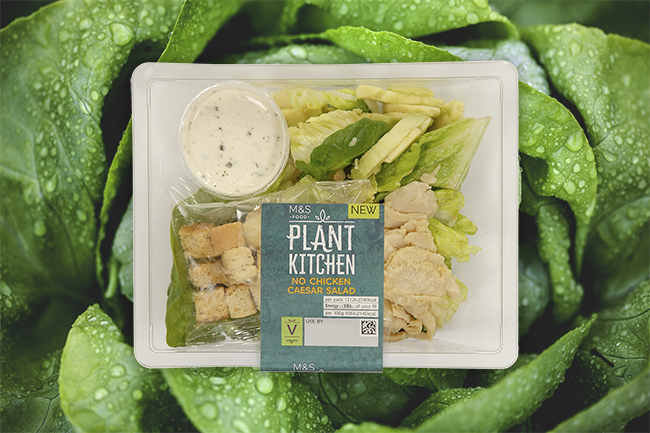 High street retailer Marks & Spencer recently addressed the ever-growing demand for plant-based and meat-free options from customers with the launch of Plant Kitchen – a brand-new collection of over 60 meals, snacks and ingredients. The launch was a huge success and the company has seen the products ‘flying off the shelves’ and so has added some delicious new lunch options to the range for those looking for some delicious to eat on the go. The new options include a No Chicken Caesar Salad (£4) which consists of flavourful soya protein chunks to mimic the taste and texture of chicken without the cruelty served on a fresh bed of mixed salad leaves topped with avocado slices, garlic and herb croutons with a creamy Caesar-style dressing. 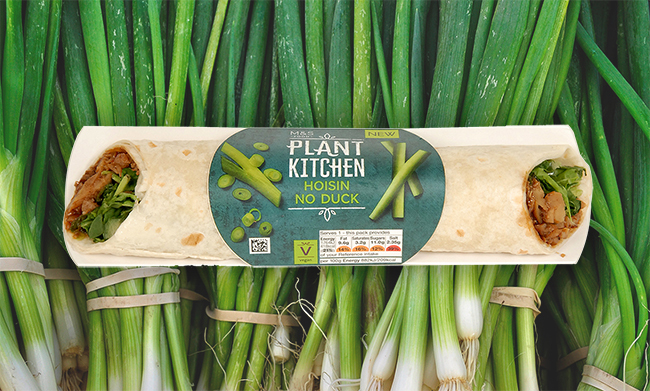 There’s also a Hoisin No Duck Wrap (£3.50) which is packed with roasted shredded soya protein, tangy hoisin sauce, cucumber and fresh spring onion. The new products are available in stores now as part of Marks & Spencer’s Plant Kitchen range.